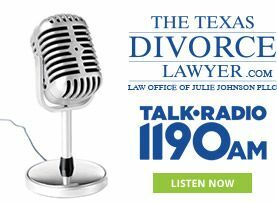 Home Services Dallas Child Custody Lawyers How much will I get to see my kids? It is the policy of Texas to encourage frequent contact between a child and both parent to optimize the development of a close and continuing relationship between each parent and child. It is presumed that the Standard Possession Order should be awarded at a minimum, unless there are reasons why that would not be in the best interest of a child. For children under the age of three the court will usually adopt a step up schedule which begins with short periods of visitation and increases to a Standard Possession Order by the time the child is three years old. For more information for visitation for a child under three click here. If there has been little or no contact between the parent and child, most courts begin with a modified or phased-in possession order before transitioning to a Standard Possession Order. The order will list a certain number of phases, and each phase must be completed in full for the required number of scheduled periods before moving on to the next phase. This permits the child an opportunity to get to know the parent better before spending an extended period of time with the parent. Once the parent completes the phases of visitation it will increase to the Standard Possession Order or Expanded Standard Possession Order. In most cases the court will award the Standard Possession Order, at a minimum. More visitation may be awarded. More frequently courts are awarding the Expanded Standard Possession Order, which gives the parent more overnights and reduces conflict at exchange times because many of the exchange times occur at school. We are seeing more and more families where both parents are heavily involved in raising their child. Although not all courts will order a co-parenting schedule, most will approve one if the parents agree that it is in the best interest of the child. Some courts are ordering modified Expanded Standard Possession Orders and co-parenting schedules when the situation is appropriate. We will probably see more courts doing so in the future – to accommodate today’s changing families. If a weekend period of possession coincides with a student holiday or teacher in-service day that falls on a Friday during the regular school term, as determined by the school in which the child is enrolled, or with a federal, state, or local holiday that falls on a Friday during the summer months in which school is not in session, the weekend possession shall begin at 6 p.m. on Thursday. Mother’s Day Weekend for Mothers. For Parents that reside OVER 100 miles apart they can keep the above schedule or have the option of electing only one weekend of the month, instead of the first, third and fifth weekend. If that option is elected then the parent also receives EVERY spring break and 42 days in the summer in addition to the holiday schedule. If a weekend period of possession coincides with a student holiday or teacher in-service day that falls on a Friday during the regular school term, as determined by the school in which the child is enrolled, or with a federal, state, or local holiday that falls on a Friday during the summer months in which school is not in session, the weekend possession shall begin at the time school is dismissed on Thursday. Mother’s Day Weekend for Mothers beginning at the time school is dismissed on the Friday before Mother’s Day and ending at the time school resumes on the Monday after Mother’s Day. Alternating possession for one week at a time. The 2-2-5 schedule which provides for one parent to have Monday and Tuesday overnight each week and the other parent to have Wednesday and Thursday overnight each week and they alternate which parent has Friday through Sunday each week. The Expanded Standard Possession Order above with the addition of one more overnight during the week. Our divorce and family law attorneys are skilled at drafting a parenting plan that creatively fits your individual situation. If the issue is contested, we will fight for the visitation schedule that is best for your child. Contact us at 214-265-7630 today to get an evaluation of your case and to discuss the visitation schedules that make sense for your family.